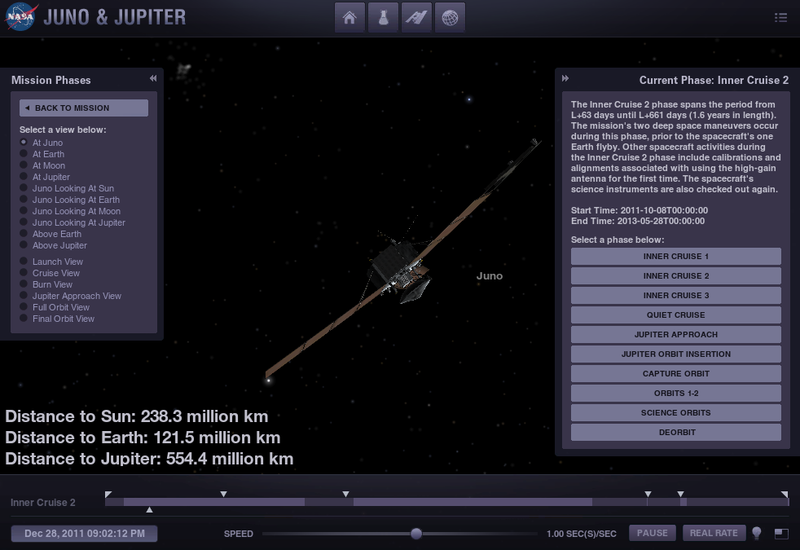 NASA's Eyes on the Solar System offers 3-D tours of the solar system in your browser. You can put the tours on auto-play or go through them manually. You also have the option to explore the Solar System without the guidance of a tour. 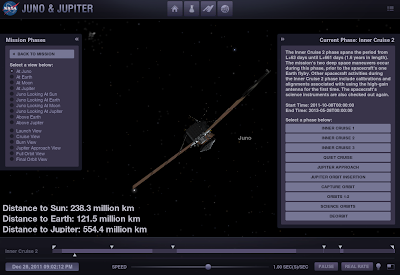 I tried it both ways and found it much easier to use the tours as a guide for exploring the Solar System. The tours have some multimedia elements included in some of the stops as you move along. I used the tours on my Lenovo Yoga laptop and found them to be well-suited to touch screen use. Eyes on the Solar System could be a great way for students to see how far apart the planets, moons, and stars are in terms of kilometers and time.